What Is Involved in the Insulation of a Commercial Roof? Insulating your commercial roof is crucial to protecting the substructure while also reducing energy consumption and improving thermal efficiency. Additionally, the insulation in your building’s roof actually acts as the first line of defence against the elements. In many ways, insulation is similar to a thick blanket that is sandwiched between the surface of the roof and the roof deck. In warm climates, insulation can be crucial for reducing heat transfer. For this reason, it is often combined with cool roof technology to significantly reduce the energy costs associated with cooling the building. One of the decisions that will need to be made is how much insulation will be used in the project. Thermal resistance, known as the R-value, increases in relation to thickness and density. When a high level of thermal resistance is required, multiple layers of insulation will often be necessary. This will result in additional cost, which is one reason why many owners of commercial buildings often request minimal insulation as an effort to reduce costs. As understandable as this may be, it ultimately has the exact opposite effect. Given rising energy costs, initial savings incurred through the installation of less insulation are typically lost through increased utility costs over time. Another critical benefit of adding thicker, higher quality insulation to your commercial building is noise reduction. 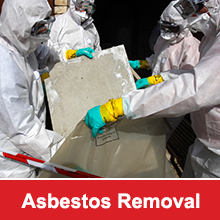 This can be particularly important if your building is located in a noisy industrial area or near a road that receives significant amounts of traffic. 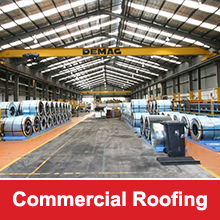 The right type of insulation for your commercial roof will often depend on the type of roof featured on your building. If your commercial building has a single ply roof, you will typically need to use insulation that offers high thermal conductivity. Industrial roofers often opt for a waterproofing system that will provide optimal energy efficiency and water resistance. Metal clad roofs are a bit different in that a lightweight, flexible insulation product will need to be used. The chosen insulation product should feature superior thermal performance and significant tear strength. Composite panels are also available on the market today. These types of materials are ideal for newly installed commercial roofing. One of the primary benefits of this type of insulation product is that it offers fire safe insulation, a benefit that can be particularly advantageous for buildings that are situated in areas at risk for bushfires. A variety of different types of finishes is available in insulated composite panels. If you are not certain which type of insulation is the best solution for your commercial building, it is important to consult with an experienced industrial roofer. The contractor will be able to evaluate your building and recommend the right commercial insulation product to provide you with optimal energy efficiency. Upgrading your facility’s insulation can help to boost your roof’s longevity while also improving the entire building’s energy efficiency.